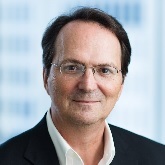 Doug serves on Executive and Program Services Committees. He has been the Executive Vice President, General Counsel, and Secretary of Hexion Inc. since 2010. Before coming to Hexion, he was named General Counsel and Secretary of Momentive Performance Materials Inc. Prior to Momentive Performance Materials, he served as General Counsel for GE Advanced Materials and as Senior Business Counsel at GE Plastics European headquarters in The Netherlands. His experience also includes work at the United States Department of Justice and private practice. Doug holds a law degree from Northeastern University School of Law, an MBA from the University of Massachusetts at Amherst, and a bachelor's degree in history, with honors, from Oberlin College.